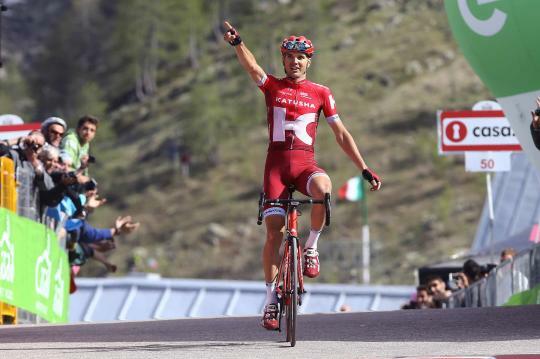 Rein Taaramäe (pronounced tarame) winning in Sant’Anna di Vinadio the last real stage of the Giro d’Italia 2016. Col de Vars, Col de la Bonette and Col de la Lombarde were on the menu that day. and his wife on the Col de la Lombarde, where Rein was training, in 2014.